How can I SEE the state of my body, mind and soul? Are your shoulders balanced evenly? Do you have excess flesh in certain areas? 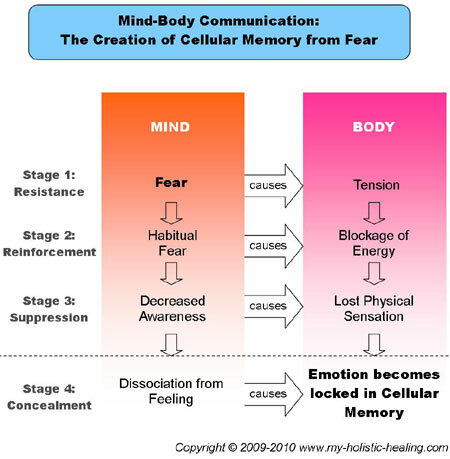 The way in which we structure our bodies as a result of our thoughts and feelings is fascinating…and unknown to most! 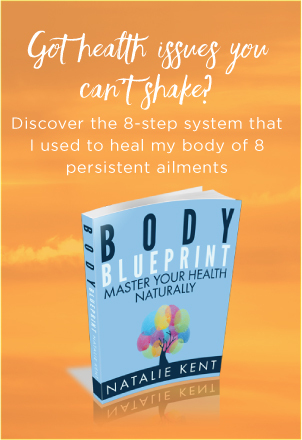 When a particular pattern develops in our mental or emotional state, it is reflected as a physical pattern in our bodies that over time creates our body shape and level of functioning. The Issues in the Tissue – Where are you storing your issues? The size and shape of the physical body can serve as an amazing insight into the state of the body, mind and soul. Any areas of our bodies which are either underweight or overweight indicate an underlying emotional issue or pattern of behaviour. Since we use our bodies to feel emotional sensations, when we repeatedly come across an unwanted emotion, we unconsciously reduce the amount of tissue or add fatty, desensitised tissue in order to feel less. Either way, we end up feeling ‘protected’ from the unwanted emotion and we trick ourselves into thinking it’s no longer there. Masculine & Feminine Sides – How balanced are you? The body, mind and soul thrives on balance. Regardless of gender, we all have a masculine and feminine sides to our personalities. In order to function well in life, we need a good balance of both masculine and feminine qualities. Most of us, however, tend to have a dominant side. There are very clear physical cues about whether someone is left- or right-brain dominant. The right side of our brains controls our feminine, creative aspects so it represents the creative and emotional side of our personality. This is reflected in the left side of our bodies. The left side of our brain controls our masculine, analytical aspects so it represents our logical mind, our mental drive and our physically active side. This is reflected in the right side of our bodies. 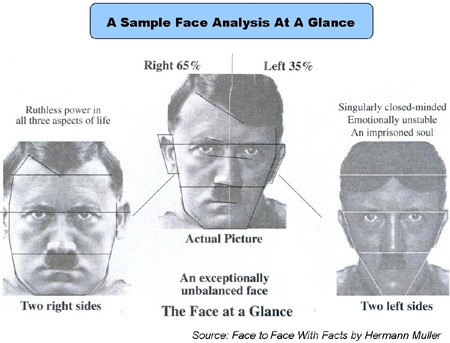 You can see from the asymmetry of a person’s body whether they are balanced in their feminine and masculine aspects or if they tend to be more mentally or emotionally driven. Since, we are meant to have equal influence from both our feminine and masculine sides, physical symmetry it is an indicator of whether the body, mind and soul is in harmony or disharmony. The Digestive System – How do I digest life? The human digestive system is the most brilliant symbolic invention for how we ‘digest’ or experience our daily lives. The word ‘digestion’ is literally how we process life. Food, relationships, life events – they are all the substances that fuel our existence. And each day we make a bunch of choices in relation to all of them – what we eat, who we mix with, how we spend our time and most importantly, how we feel in every minute about all of it. Taking in new experiences and ideas and ‘chewing it over’, having a plan, thinking it over and deciding to do it. Understanding the plan, breaking the plan down into ‘digestible’ pieces. The plan is broken down further and the plan is then complete. Take for yourself what is needed for self-nourishment and outflow the remainder to others. If you are constipated, your body is telling you that you are holding on too tightly to life and you need to let go. If you have stomach ulcers, you are worrying about life and not letting the plan unfold. If you have diarrhoea, you are not absorbing what you need from your experiences and you are giving up on what you truly want from life. If you have cavities in your teeth, you are not planning new experiences for yourself so you start to ‘rot’ in your old habits. The beauty of symbolism is its subtle way of telling us what’s up and what to do about it! Your body will tell you exactly what you are doing that needs your attention. Listen and learn and your body, mind and soul will thank you for it! Check out the glossary to find out the meaning of specific ailments. Remember the Golden Rule of Holistic Healing… Listen to your body, it’s always trying to tell you something! To find out more about body, mind and soul symbolism go to Psychosomatic Healing. Return from Body, Mind and Soul Symbolism to My Holistic Healing homepage.